Winter is a dangerous time to drive, especially in New England, and getting in a car accident makes life difficult. According to a 2017 release from the National Highway Traffic Safety Administration (NHTSA), 17% of all vehicle crashes occur during wintry conditions, so as the temperature drops, drivers need to increase their awareness on the road. These matters are complicated, and your lawyer should be focused on making sure you receive proper justice. Attorney Chrisanthopoulos recommends that selecting an experienced personal injury attorney should be your first priority. It’s recommended that 911 be contacted following an accident, especially if someone is injured. You’ll be doing yourself a favor by bringing in a neutral third party to help document the accident. Evidence is a crucial element in insurance claims, so make sure to take pictures of the accident, exchange information, get witness names, keep a detailed account of medical treatment and bills, property damage and any lost pay from time missed at work. Should you proceed with litigation? The decision on whether or not to file a lawsuit is an important one. It’s possible that if you go through the standard insurance claim process, you may not recover all the money needed to cover your medical bills and expenses. If the other driver doesn’t have proper car insurance, it could result in you footing the bill even though you weren’t at fault. 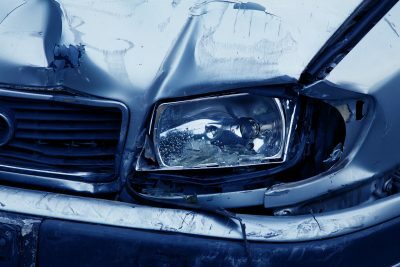 Insurance companies will often try to settle a claim early to avoid additional expenses, so sometimes litigation may be necessary to receive full compensation. It is strongly encouraged to get legal advice before contacting the insurance company. Whether you decide to settle things through an insurance claim, or proceed with a lawsuit it’s wise to have an experienced personal injury lawyer representing you. Your lawyer should have trial experience and be prepared to take your case to trial if necessary. Your lawyer will know the law and be an expert at describing the facts in a clear and supportive manner to maximize your recovery. Many personal injury attorneys work on a contingency fee, which means no legal fees will be incurred until you are compensated.